Black Vans Authentic trainers from the collaboration with British fashion designer, Ashley Williams. The black canvas trainers incorporate Ashley Williams’ punk-inspired aesthetic with silver-tone metal bullring detail on the toe and heel. The low top trainers are fastened with ‘Happy Ashley’ printed laces and have a single silver-tone metal ‘A’ eyelet at the top. 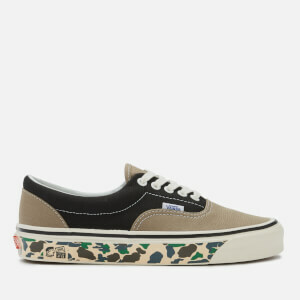 The sneakers retain signature Vans details, including a Vans logo flag on the outer side, an ‘Off the Wall’ licence plate on the heel and a rubber waffle outsole for added grip.